From the darkest, coldest depths; a shimmering aural wall ever so slowly takes shape and builds in intensity. Faint, hypnotic, ancient whispers begin to surface. A much clearer voice from beyond now begins to take form and reminds us of that which we have forgotten. Thundering, deliberate drums and bass lines, perfectly blended guitar riffs and the wall of sound begins to border on complete sensory overload. The voice again speaks: WE ARE COMING HOME! Welcome to the Exosphere! This, the title track from Exosphere VI is a mind-blowing opening salvo to the latest effort from the Merciful Nuns. As a whole, it takes us in a very different direction from the Nuns’ previous release, Goetia V. Musically, there is the added dimension of a harder edged style not seen since the Genesis Revealed EP. It is far from brutal however and used judiciously; only where a song’s thematic tones call for it. In scope and breadth, Exosphere VI is much larger. Whereas Goetia V seemed to be so personal and looked “within”, Exosphere shifts much of its focus from the “Intro-verse” to the entire universe. Or perhaps the “Exo-verse”? Exosphere VI comments on many of humanity’s deepest questions, not the least of which is who our “creators” may have been. And even more fundamentally, it exudes awe at the beauty and complexity of our universe. The songs Exosphere and Blackbody blend seamlessly together and are colored heavily with the more aggressive musical style. Exosphere hints at the identity of who our God (or gods) may be and that we could be a “species with amnesia”. Blackbody more directly offers up what is only hinted at in Exosphere – that our creators came from distant stars and they are the ones we call God/gods. There is no metaphor required here. A hopeful feel then emerges in the song as we are told that the “Blackbody” of our current consciousness may be giving way to the “bright light” of our deepest subconscious. A break in the Blackbody. We are beginning to remember. The third track, Supernovae, begins very similarly in feel to Exosphere and then launches you on a light speed ride through an exploding star. The musical pace is fast; it builds into a fevered pitch and then casts you into a sea of electrons! After listening you feel as if you've just witnessed the event. Things slow down a bit with Astral Plane. 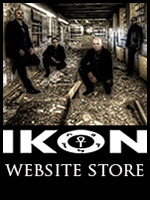 It departs from the heavier feel as well as the subject matter of the first three tracks by momentarily turning introspective. Acceptance of our mortality and seeing all of it as simply a long farewell before moving on to the “astral plane” appears to be the message here. Although this song may feel like it stands alone on Exosphere VI, it serves a purpose by changing the pace and allowing the listener to reflect on this sobering realization. We are quite small, all things considered. Interestingly, another subtle reminder of this fact can be found the picture opposite to the lyrics of Supernovae and Astral Plane in the CD booklet. There appears to be a lone human standing on the floor looking out of the windows of a giant craft. He/she is casting a shadow on the floor and looks minuscule relative to the size of the ship and everything else in that room. A perfect blend of words and imagery. Ultraviolet begins softly. A very simple, beautiful piano melody is heard while a cascade of rich, complex, layered sound grows more intense in the background. The same clear voice of Exosphere almost whispers, “This is the color on the other side of light. Somewhere between purple and infinity. It burns, divides, heals, protects. This ultraviolet light”. The rhythmic, deep bass begins anew. We are again transported into the vastness of the cosmos. “We are made of stardust. Of cosmic breath. Infinity exists. In the colors of outer space”. The feelings evoked are of drifting in a sea of stars and immersion into their lack of emotion. Our emotions are unheard by the stars as we are no more or less important than any other part of the universe. We exist for an infinitesimal moment and then we are gone. The Core and Vimana Machine transport the listener to a “white table” in a “white room”. What might it feel like for the “gods” to take you away to one of their craft – or Vihmana Machines – and take your DNA? The mood feels lighter here. Yet another change in the tide of Exosphere. The album ends with the most significant song of all. The Passing Bell. This one ties it all together. The beauty and grandeur of our universe and how small we are relative to it. “A prophets speak to absent morrow” while the bell of the universe continues to ring. The prophet in reality feels very small regardless of his own opinion of himself. One day his time will end as will ours. We’ll be taken to the “fields of sleep” as were the fallen “gods” from the alphasphere. The “Exosphere” appears to be what separates us from our creators or our deepest subconscious (or both). A place in between here and the alphasphere. Passing Bell’s final verse alludes to the fact that “death” may serve as a transition from “black, empty, infinite deep” to “something”. This is probably the single most powerful part of the CD conceptually. “Something”. What is “something”? It is a PERFECT way to end Exosphere -- with mankind’s greatest question: What comes after “this”? Exosphere VI is in a word, simply brilliant. Musically it ebbs and flows just as the universe pulses and as the bell of the universe continues to chime. Thematically, it offers thoughts and ideas without preaching. You never feel as if you are being spoon-fed answers but rather insights and questions are being shared which allows you to come to your own conclusions. Any number of interpretations are certainly available to the listener. At the same time, we are taken on a ride through our vast universe and are allowed to simply pause and marvel at its beauty. 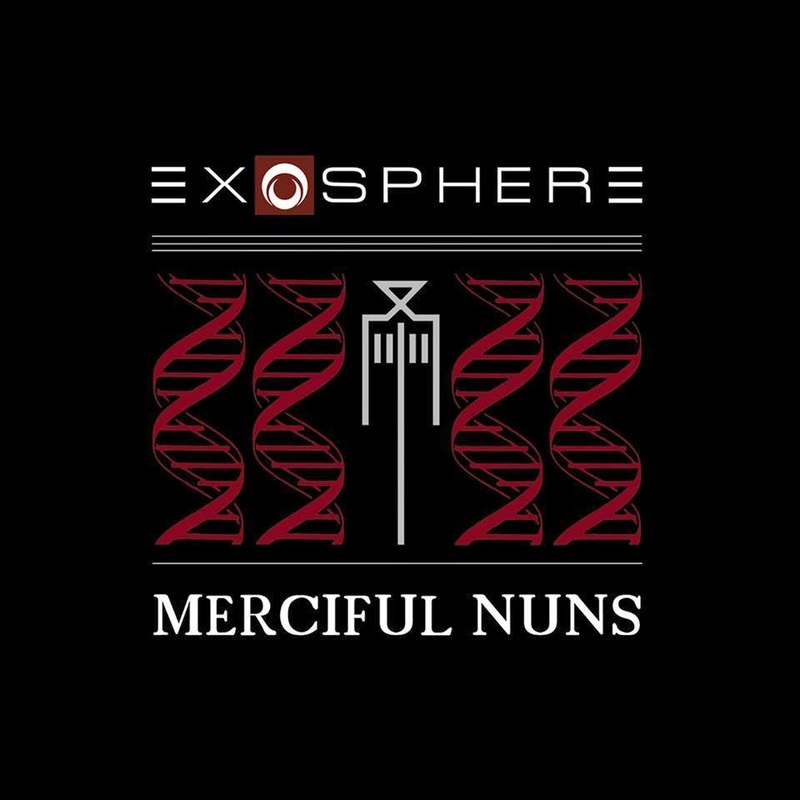 The Merciful Nuns continue to evolve release after release and are surely setting the standard by which all other music of the gothic rock genre should be measured against.